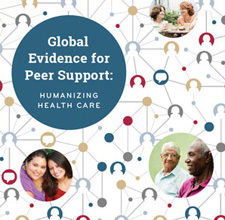 Promoting and implementing peer support in a particular region or culture has remained a challenge due to variations in settings (e.g., health system, community context) as well as help-seeking and support-giving behaviors across cultures. Therefore, it is pivotal to the success of a peer support program that it is culturally acceptable and built upon the strengths of the community and the health system.In a collaborative effort to test the effectiveness and applicability of the peer support model within the Chinese context, doctoral candidate Xuefeng Zhong from Mahidol University, along with her advisors Drs. Chanuantong Tanasugarn from Mahidol University and Edwin Fisher from the University of North Carolina at Chapel Hill, conducted a community randomized control trial to test the feasibility of a peer support model in the Anhui Province of China. The demonstration project was a community-based model of peer support that took place in three cities in Anhui: Hefei, Tongling, and Bangbu. Zhong identified subcommunities in each community and recruited 726 eligible participants with type II diabetes. Subcommunities were randomly assigned to intervention and comparison groups, with the comparison groups receiving standard care with a routine educational component. In the intervention, groups consisted of 10 to 15 individuals who lived within close proximity and were led by a peer supporter nominated by the Community Health Service Center (CHSC). The peer supporters were usually retired members of the community who had lived with diabetes for a relatively long time and were in compliance with medical advice. After training, they were tasked with facilitating discussions on issues of interest and promoting better self-care in the lives of participants. In contrast to many peer support programs, 16 of the 19 peer group leaders were men. A key feature of the program took advantage of the fact that the participants lived near each other and all knew each other. As a result, smaller, informal groups emerged from the formal group settings, and participants began to shop together, exercise together, and even fish together. Interviews with participants indicated that these informal group activities were an important source of support for participants. Preliminary findings of the study indicate that the peer support model is both applicable and effective within the Chinese context. Both support providers and receivers received tangible benefits, including increased knowledge and awareness, improved diet and physical activity levels, and better glucose monitoring. Kate Lorig’s Chronic Disease Self Management Program has been adopted in several settings in China. However, to our knowledge, this study is the first in China to emphasize peer support outside of formal group meetings and through individual contacts with the peer group leaders and the informal activities emerging from the groups. Amidst reticence to burden one’s family, the contacts with peers appeared to provide a more acceptable outlet for sharing emotions and concerns regarding diabetes. Due to Zhong’s role as a professional in the Anhui province Chinese Centers for Disease Control, the program was able to recruit resources both from the CDC and the government health service. Following the demonstration project, the “peer support group ” approach has been integrated as a routine component of the community chronic disease management in these three communities. Zhong hopes to expand upon these findings beyond these communities and use the positive results as a means of promoting peer support into standard care.